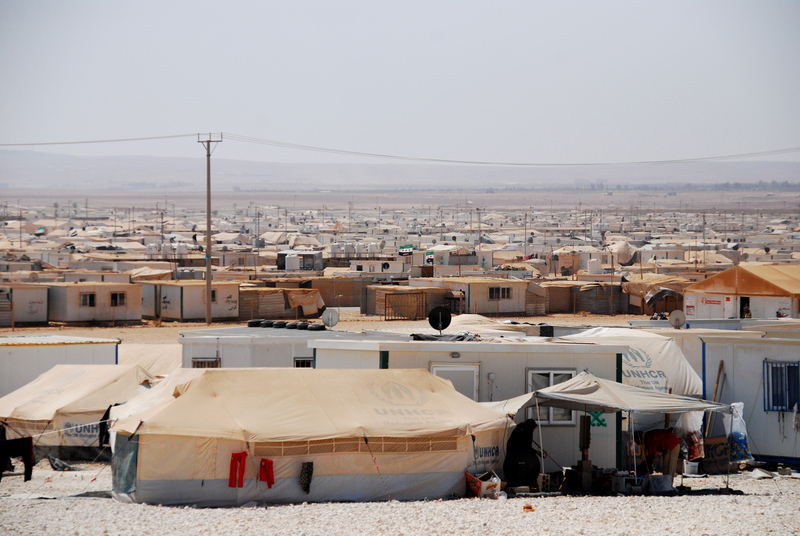 Jordan’s Za’atari camp for Syrian refugees is now the fourth largest population centre in the country. As the settlement is slowly transforming into something much more permanent, humanitarian relief agencies become increasingly involved in the political government of the camp population, not without resistance. “It has become very quiet”, says Kilian Kleinschmidt about recent months in Jordan’s Za’atari camp for Syrian refugees. As the UN Refugee Agency (UNHCR) manager for the camp, which has now become the fourth largest population centre in Jordan, he has been tasked with bringing order to life here. More than a year after the camp’s founding in July 2012, Kleinschmidt describes it as a settlement slowly transforming into something much more permanent. But this transformation has consequences. One of the demands of an increasingly long-term operation is a greater focus by UNHCR on the camp’s governance – a sensitive area at the crossroads of politics and humanitarian relief. Kleinschmidt has extensive plans for a governance structure: 12 districts with a variety of committees, assigned administration and humanitarian personnel per district, and a central administration headed by a Jordanian deputy governor. “Traditional leaders” who have emerged from within the camp and are trusted by UNHCR and the Jordanian authorities may be integrated into some sort of representative camp committee. But these plans have been met with fierce opposition by various self-appointed street leaders in Za’atari, who have long profited from the disorder and built their own power bases. Some so-called street leaders have used the smuggling of humanitarian goods, and even amphetamines, to build their power base. 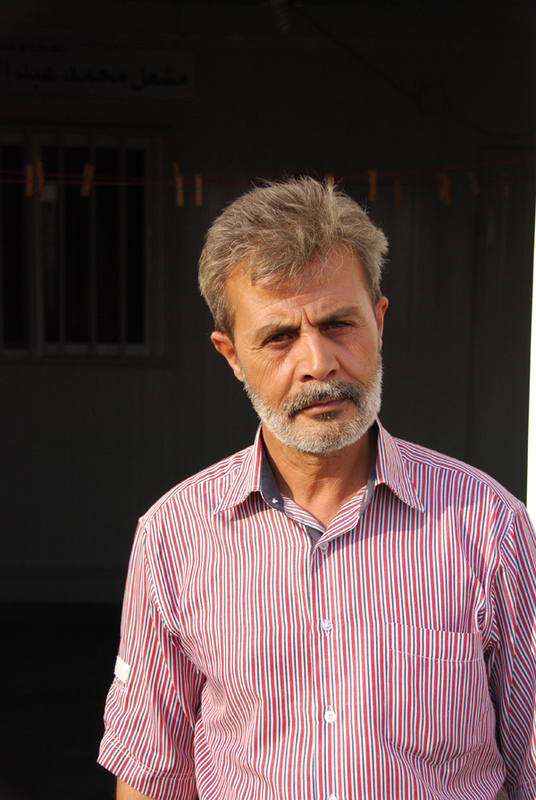 Some achieved authority as rebel leaders in the conflict in Syria, others established themselves by being among the first to arrive in Za’atari. “They came with their men and controlled local business and other things in the camp, often making a profit,” said Kleinschmidt. “The new leaders will be traditional Syrian authorities, sheikhs, who bring wisdom with them. They don’t need to scream in order to earn the people’s respect.” One of them is an elderly man named Abu Wael, dressed in an ankle-long white garment, a `thawb’. “I don’t have time today; a delegation from the Jordanian prince is coming,” he said, passing by the base camp, rushing to the important meeting. According to Kleinschmidt, just the day before, Abu Wael and some other elders sat together in one of the “mansions” in the camp and engaged in traditional conflict resolution, after an unmarried couple was caught sleeping together. They negotiated the matter between the families. These new leaders should support UNHCR to build up a reliable structure of governance in the camp, while also helping to cut down on crime and delegitimizing the self-made leaders. “To be respected in this camp,” he said, “you need to be wise and politically strong.” Via phone calls and personal visits, he solves “all kinds of problems”, like quarrels, water disputes, distribution issues, or broken toilets. He too has heard about the newly planned committees in the camp. “I think UNHCR has to keep its hands away from politics,” he cautioned. Although refugee self-governance always occurs when people live in settlements long enough, the official position of the humanitarian community has long been that such politics do not take place, Malkki, the Stanford researcher, said.